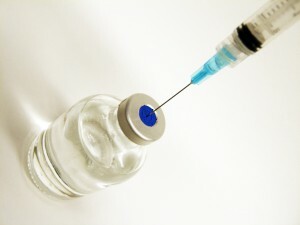 Where and what are the injections commonly given for? Since it can be injected into specific areas, it can be used to smooth out fine lines and wrinkles whilst leaving the rest of the facial muscles unaffected. This is the source of genius for journalists- if the facial muscles in one area appear smooth and still, it can be salaciously scrutinised as to whether or not the celebrity has ‘had Botox’ done. The most famous brand names for botulinum within beauty treatment are “Botox Cosmetic” and “Vistabel”. It isn’t new – in 2009, the procedure had been practised for over 15 years. The British Association of Cosmetic Doctors claim the ultimate aim of the treatments are to change muscle habits – frowning and squinting – which over time will help reduce more wrinkles and fine lines being formed (1). (And we thought it was just to get the forhead flat in a matter of days). The Association also states your practitioner should be told of all medication patients take (including herbs Gingko Biloba and St John’s Wort). They cite the main potential Botox side effects as transient and not major, such as temporary headache and short-lived redness, swelling, bruising or numbing at injection sites; temporary headache and temporary numbness at the injection sites. Less common risks include eyelid drooping (ptosis) and slight puffiness. The Association advises potential patients to discuss this with the doctor as the occurrence rate will vary from doctor to doctor. Finally, for some rare cases, after several weeks resistance to the treatment develops and the effects can no longer be seen. Erupted when American reports emergerged over the reports of 16 children who had tragically died following medical treatment with Botox to treat leg spams (1) . The powerful Food and Drug Administration (FDA) subsequently ruled that from April 2009, all product packaging must contain warnings of severe medical complications in the event of overdose (2). In those tragic cases, the dosages would be called into question, given the children’s lower bodyweights kilo for gram administered. The treatment the children recieved is likely to have been at higher dosages than those administered for anti aging skin care cosmetic use in adults. Nonetheless, warning labels must now be carried on every box of “Botox Cosmetic” in the states. Their announcement also stated adverse effects in adults had been reported for ‘approved uses’ of the product and that the toxin may be able to move from the injection site to other areas of the body. The share price for manufacturers dipped. However, in early Augugst 2009, the FDA issued and update stating “No definitive serious adverse event reports of distant spread of toxin effect have been associated with dermatologic use of Botox/Botox Cosmetic at the recommended doses (for frown lines between the eyebrows or severe underarm sweating). As well, no definitive serious adverse event reports of distant spread of toxin effect have been associated with Botox when used at approved doses for eyelid twitches or for crossed eyes.” (3).